Click on your syptoms and Get Treatment Today! is commonly described as deep, aching, dull or burning pain in one area of the back or traveling down the legs. Patients may experience numbness, tingling, burning, or a pins - and - needles type sensation in the legs. Regular daily activities may prove difficult or impossible for the chronic back pain patient. They may find it difficult or unbearable to work, for example, even when the job does not require manual labor. 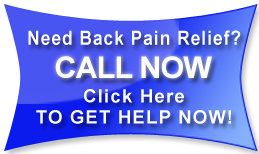 Chronic back pain tends to last a long time, and is not relieved by standard types of medical management. 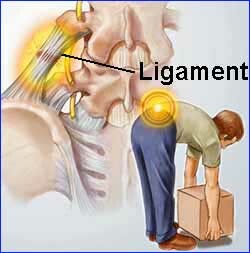 It may result from a Herniated or Bulging Disc, Disc Degeneration or Pinched Nerves . 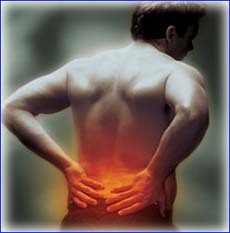 Immediate and proper treatment can relive back pain. If this Sounds like your symptom Contact us to get Treated TODAY! refers to pain that begins in the hip and buttocks and continues all the way down the leg. This condition is often accompanied by low back pain, which can be more or less severe than the leg pain. The term "sciatica" indicates that the sciatic nerve, which travels from the lower back through the buttocks and into the leg, is thought to be the cause of the pain in this condition. Pain managment can prove difficult.. The most common symptom of true sciatica is posterior thigh, lower leg or foot pain that can be much worse than the accompanying lower back pain. Usually a patient will experience moderate to severe pain, which begins in the buttocks and runs down through the leg or foot. 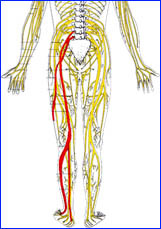 It is important to know that true sciatica will produce pain that radiates beyond the knee. Proper pain management is needed to continue a dialy regimine.